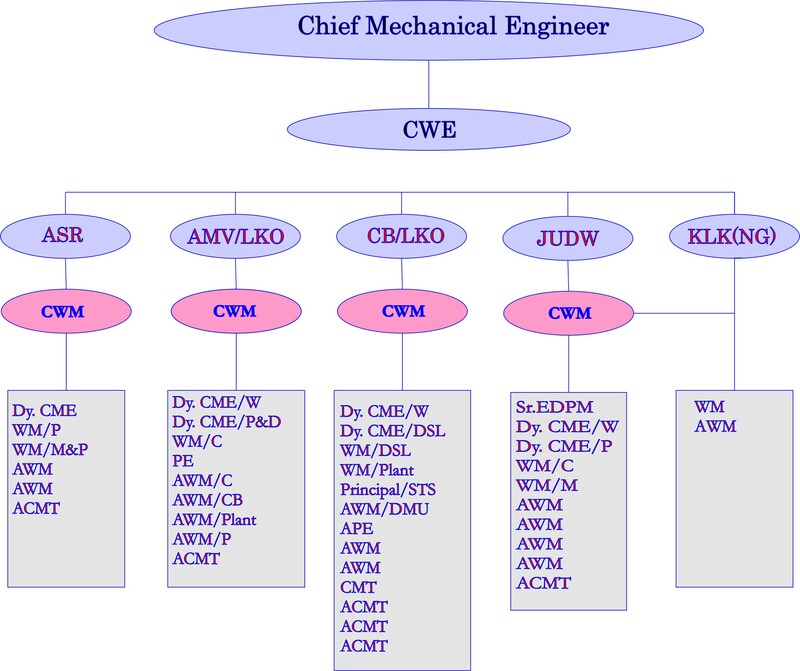 Mechanical Department is headed by Chief Mechanical Engineer. Mechanical Department is responsible for maintenance of all passengers and freight stock and Diesel locos over Northern Railway. Chief Rolling Stock Engineer (Coaching) looks after the coaching maintenance work of Northern Railway. He is assisted by an officer in JA Grade Dy. CME (Chg.). 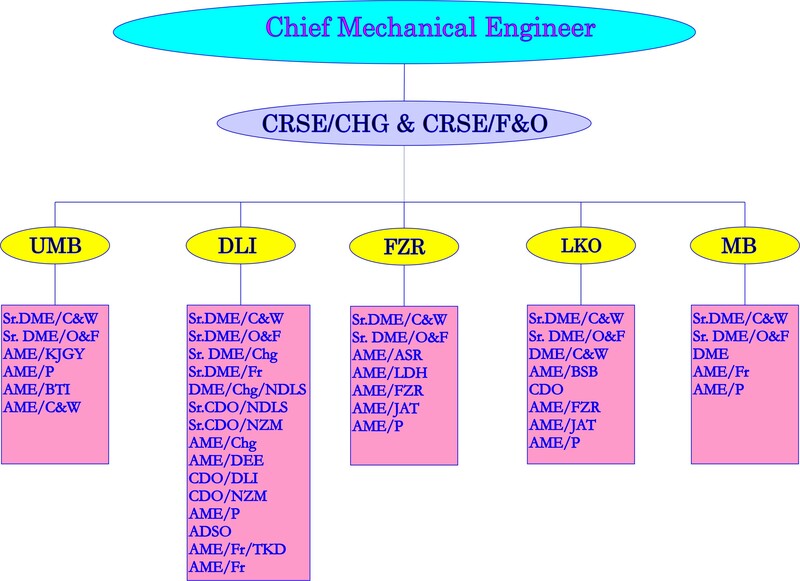 A Senior Divisional Mechanical Engineer in each of the divisions i.e. Lucknow, Moradabad, Delhi, Ambala and Firozpur assists him. He is responsible for repairs and maintenance of coaches running over Northern Railway. Chief Mechanical Engineer (Planning) is assisted by Dy. CME(Plg.) for planning, progress and modernization of Rolling Stock maintenance infrastructure on N.R. 1.Processing of proposals under Annual M&P Programme PH-41 of NR. 2.Processing of proposals under Works Programme of NR. 3.Monitoring of progress of on-going works under Plan Head-41 & 42. 4.Modernization of Woprkshops, C&W Depots and Diesel Sheds. 5.Co-ordination of M&P Programme for all departments of NR. 6.Utilization of funds for Plan Head-41 & 42. 7.Mechanical facilities related with Gauge conversion, doubling and new line projects.